Il posto barca è di V cat. con misure di mt 15x 4,85 al finger Le spese condominiali si attestano intorno ai 3600/4000,00 annue e comprendono l'utilizzo senza limiti di acqua/energia oltre a vigilanza, pulizia, illuminazione ed utilizzo dei servizi portuali. The concession expires in 2035-no ongoing leasing. In addition to supervision, cleaning, lighting and use of port services. 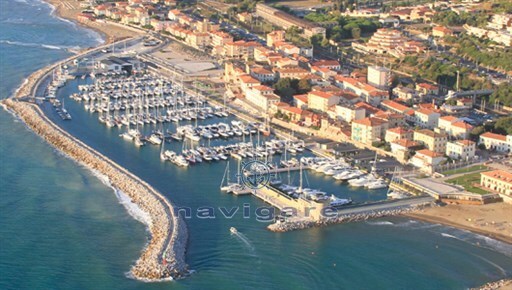 The structure of the marina was completed by 2 years and therefore is extremely new and more efficient. and two squares over the parking lots. as well as the main course. open at any time of the year.